First person shooters have been very popular ever since the likes of Call of Duty, Medal of Honor, and Battlefield showed us what a shooter would be like with great mechanics as well as adding the multiplayer aspect of it to all of the modern games. 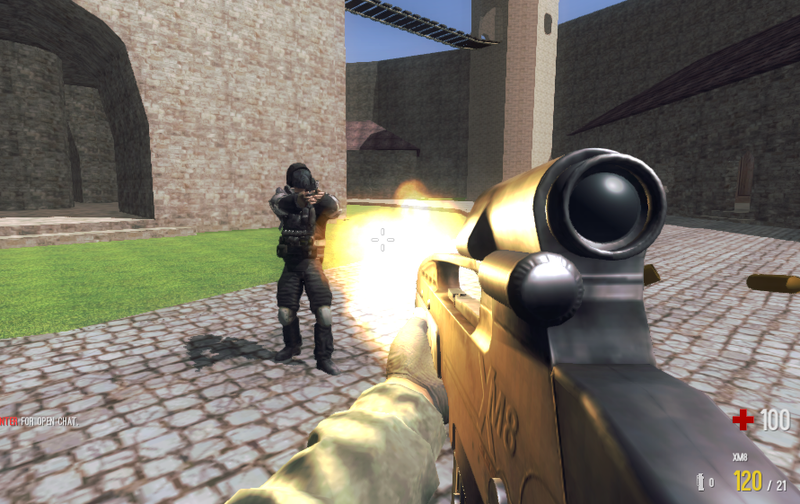 Combat Reloaded is a great example of a first person shooter that puts the multiplayer game in front of its game and lets you enjoy it for hours because of the competition. Combat Reloaded plays like the usual first person shooters, that doesn’t mean it’s a bad or unoriginal game in the least, this just means that it has all the stuff that we are already familiar with, as well as new stuff that you might love. You play the game using your keyboard and mouse. The keyboard to move around using the W, A, S, and D as well as changing your weapons with the 1, 2, 3, and 4 buttons and the E button being the action button (open doors and other stuff). Your mouse cursor will be your game’s reticle, and moving the mouse spins your reticle to aim. Using the left mouse button will make you shoot your current weapon and using the right mouse button will make you aim down your scopes, making your aim even better. The game gives out a lot of fun little stuff in the game like one of the most recognizable places of the 20th Century, the Krusty Krab, as one of the arenas you play in. The weapons are the usual stuff, assault rifles, snipers, handguns, etc., so there aren’t anything exciting in this part, but most of the other stuff are pretty good. If you’ve been looking for a multiplayer game to pass the time, then Combat Reloaded may be a good game to play, just get ready to put in more hours than you actually wanted to as this game can get addicting. This entry was posted in Games, Shooting. Bookmark the permalink.